So I bought 4 little rugs at Target off of a clearance aisle and planned to sew them into a square as a rug for the schoolroom. But then I found a bigger rug on overstock (through pinterest) and am using that instead. So then I literally walked around the house deciding how I could use them. And then it dawned on me!!!! 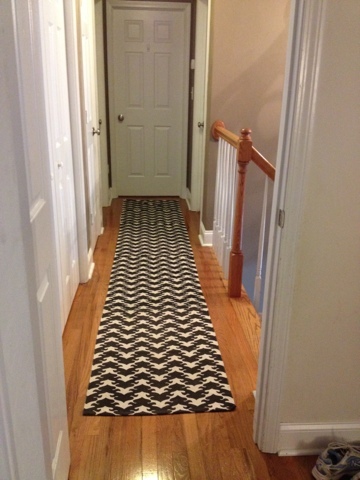 A RUNNER for the hallway upstairs. Genius. So I slaved away for a couple of HOURS- not quite the quick project I envisioned- and it is adorable! It is by no means perfect and I can see breaks in the pattern even where I tried to match it, but I am overall very pleased. Very Messy Schoolroom in progress and yes that is still oops paint and the chandelier isn't switched. 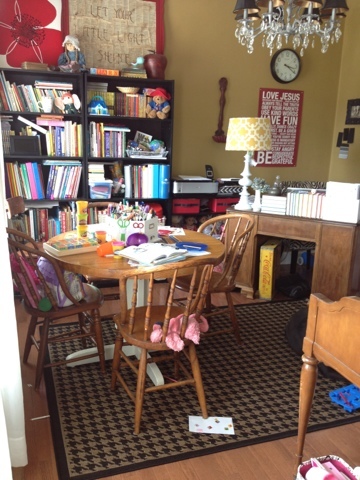 But August is the month of redoing the schoolroom from the dining room. Also, this is actually an indoor/outdoor rug so it will be easy to clean if needed. My poor fingers slaving away. 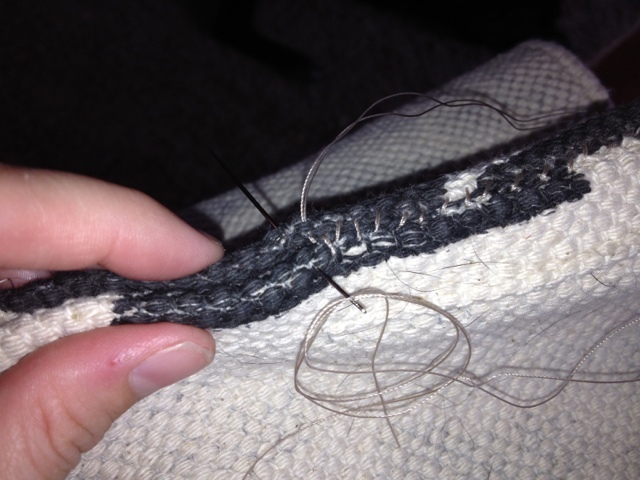 I did use a tapestry needle and upholstery thread that I found at Joanns.